Avoid the Koch brothers. That’s the message coming from the Republican National Committee as recently as last week. It’s the latest chapter in a feud between the powerful political fundraising network and the RNC. But do down-ballot Republicans need the Kochs to succeed in the November midterms? 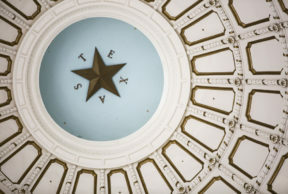 Ray Sullivan, a Republican strategist based in Austin, spoke to Texas Standard Guest Host Alana Rocha about how the “Koch Kerfuffle” will play out in the next few months. Sullivan says that recent internal Republican party struggles are between those who differ on trade policy. Sullivan says the Kochs are looking to support candidates who advocate free trade, no matter how far they differ from the current Republican party on other issues. Despite the president’s tweets saying the Kochs are “highly overrated,” Sullivan says that down-ballot Republicans need all the votes they can get for this upcoming election.